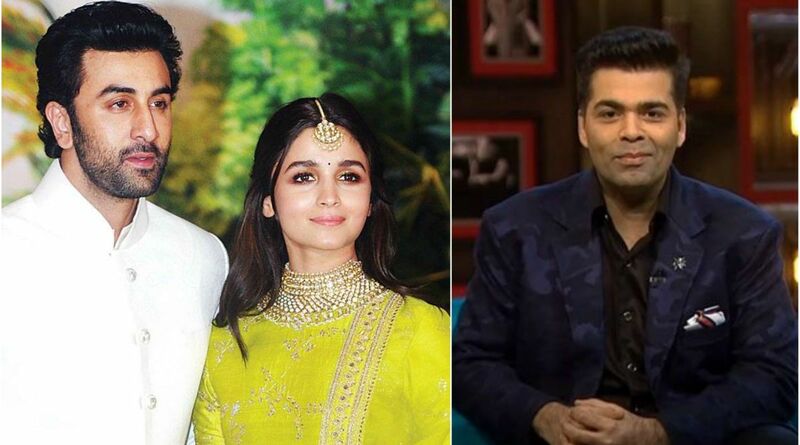 Will Ranbir Kapoor, Alia Bhatt make it to Koffee With Karan couch together? Home / Entertainment / Bollywood / Will Ranbir Kapoor, Alia Bhatt make it to Koffee With Karan couch together? Ranbir Kapoor and Alia Bhatt’s rumoured relationship is getting fuelled every passing day. After Karan Johar announced the sixth edition of his chat show, several speculations about the pairs appearing in the show have been doing the rounds. According to reports in DNA, Karan had convinced Ranbir Kapoor and Alia Bhatt to co-guest on one of the KWK 6 episodes. However, Ranbir reportedly had put the condition that the invite can be considered only if the show was Brahmastra-centric and not their rumoured “relationship”. Now, PinkVilla has dismissed the news, saying the so-called condition, Ranbir Kapoor and Alia Bhatt won’t be coming together and sitting on the same couch”. On the work front, Ranbir Kapoor is back to Mumbai after completing the shoot of his next Ayan Mukherji’s Brahmastra which also stars Amitabh Bachchan, Alia Bhatt and Mouni Roy.